Home ... NNF ... Manston ... Are night flights restricted? 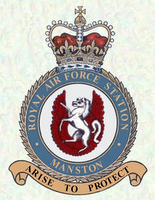 An independent group set up to advise on the development of Manston airport has said no to more night flights. Kent International Airport Consultative Committee chairman Paul Twyman told a meeting of Thanet council’s airport working group that while there should be a balance of “economic and environmental interests”, he was against changing current night policy. So the S106 ‘restricts’ night flights – as far as I can fathom, it bans scheduled night flights, but allows late arrivals and other unscheduled flights. I’ve yet to find out who defines what is and isn’t scheduled. With a world-weary sigh, I assume it’s down to Infratil. What happens if Infratil says a plane is scheduled to arrive at 10:30pm, but it consistently arrives 1½ hours late? Nothing, I guess. Sigh. Anyway, the S106 from yesteryear remains in force. The statutory consultation period is 6 months, and Cllr Harrison repeatedly told the assembled multitude at Manston on 19th May that Infratil has not yet triggered the start of consultations. So that means no increase in night flights for a while. Doesn’t it? Hi sorry to go off thread I have set up a new blog <a href="http://thanetpress.blogspot.com/“ rel=”nofollow” rel=”nofollow”>http://thanetpress.blogspot.com/ and would appreciate it if you would link to it as I have done to yours, it is to be exclusively for publishing local press releases with proper feeds.I wont be publishing anything that isnt mainstream it will be TDC and the main local politicians press releases only.